Hello and welcome to this week’s Failed Critics Podcast, released slightly earlier than usual to try and push it out just before the end of International Podcast today (that’s today for the next couple of minutes, anyway!) As such, we recommend you check out our fellow podcast comrades Wikishuffle, Black Hole Cinema and Diamond & Human; all of whom are deserving of your time during your commute or whilst peeling the spuds, or whatever you do whilst you’re listening to us. Joining Mexican assassin Steve Norman and intergalactic failed critic Owen Hughes for this week’s episode is Andrew Brooker, undertaking his unpaid work placement, as they review three new releases. They’re so new, in fact, that they are not even out in the UK yet! First up, Owen reviews new Ridley Scott sci-fi The Martian (which doesn’t feature any aliens – xenomorphs or otherwise) before Brooker seethes over the new Anne Hathaway / Robert De Niro comedy The Intern. 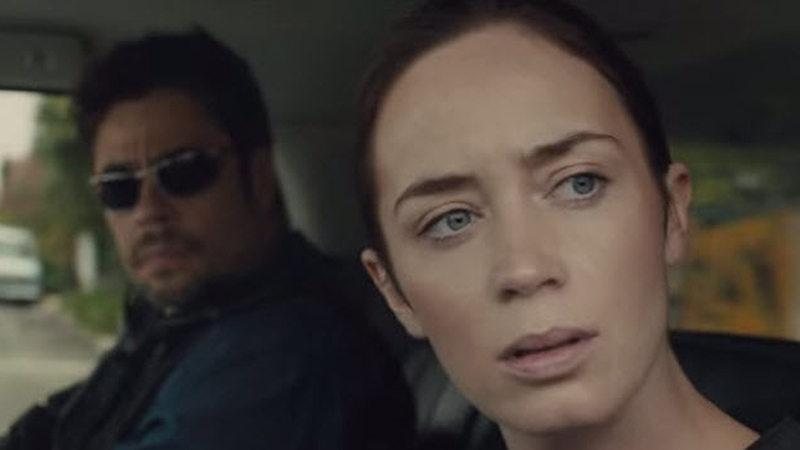 There’s even room for a review of the much anticipated crime-thriller Sicario, starring Emily Blunt as an FBI agent working with Josh Brolin and Benicio Del Toro on the trail of the Cartel in Mexico. Before any of that though we have our quiz (which Steve helpfully explains in detail) and news section where the team react to Sam Smith’s Bond theme replete with improv poetry, The Simpsons opening Smithers closet, and the Prometheus sequel details. This is followed by our usual what we’ve been watching section, which sees: Owen review cult 80’s horror From Beyond as he pleads for your HP Lovecraft recommendations; Steve runs through three first watches of Beverly Hills Cop, Cooties and Cop Car; and Brooker reminds himself of a time when De Niro could do comedy well with Analyze This. Join us again next week as we review ‘the Scottish play’, Macbeth, and have a very special guest in tow for our Scottish triple bill: It’s the acclaimed author of the Three Realistic Holes trilogy of novels, Escobar Walker!